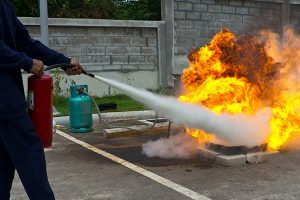 fire safety tasks in the workplace (for example fire risk management, Fire Marshal and Fire Warden duties). Course duration is 4 hours (depending on group size) starting at 08:30 am and finishing at 12:30 pm. assessment during use of fire extinguishers.